Middlesbrough FC Tickets | Premier League Tickets | Book Now! At Football Ticket Pad we have a handful of Middlesbrough tickets available for their matches in the Premier League, FA Cup and EFL Cup fixtures for the 2016/17 season. The 2004 League Cup winners and 2006 UEFA Cup finalists are back in the top flight after a seven year absence and will be keen to have prolonged stay in the Premier League to mark their return. With the majority of Middlesbrough’s stadium being season ticket holders and club members the demand for the remaining tickets is quite high. Therefore, we can only supply a limited number of Middlesbrough tickets for each match. As well as Middlesbrough tickets, we can also supply fans with away section tickets or hospitality packages at The Riverside - backed by our 100% guarantee. Longside Upper: Seated in the upper tier of the West Stand or the East Stands customers can choose their preference depending on ticket availability. Longside Upper seats offer some great views of the pitch, yet despite sitting further away from the pitch it does not necessarily mean less atmosphere. The West Stand is the biggest stand in the stadium, whereas the East Stand is home to a Family Zone making it a popular choice for families browsing for Middlesbrough tickets. Longside Lower: Outside VIP Hospitality tickets, Longside Lower tickets are often the most expensive and most popular ticket because of their closeness to the playing surface. Football Ticket Pad has a selection of Longside Lower seats and they are seated in the lower tiers of the West Stand and East Stand at The Riverside Stadium. Shortside Upper: These are one of the cheaper tickets available for customers browsing for Middlesbrough tickets. Middlesbrough fans will be housed in the famous North Stand which is located behind the goal and backs onto the River Tees. The North Stand is where the more vocal Boro support sit and is known by many fans as the new Holgate End, in reference to their Holgate End at their old stadium where similar vocal fans were seated. If it is atmosphere you are after then shortside tickets are the one for you and Football Ticket Pad may have some great prices listed! Shortside Lower: Some of the cheapest tickets available are Shortside Lower seats so if it is a bargain you are after this is the place to look! Middlesbrough Shortside Lower seats will have you sat in the lower tier behind the goal in either the North Stand or South Stand depending on personal preference and ticket availability. 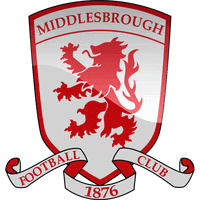 Middlesbrough tickets are quite difficult to obtain but if your tickets are not listed on our site please let us know and we will do our very best to get you your Middlesbrough tickets with our unique 100% guarantee. VIP Hospitality: Football Ticket Pad is able to supply exclusive Middlesbrough VIP Hospitality packages for matches at the Riverside Stadium this season. Whether it is an Private Box in the West Stand or matchday hospitality in The Ayresome, The Fenton Club or Hardwick Bar, we can help get the right tickets for you! If your preferred VIP Hospitality package is not listed please contact us with the suite you are interested in and we will check availability. Away Section: These seats are strictly for away fans only and Football Ticket Pad has a limited number of away tickets for matches during the season at The Riverside. Customers will be sat in the South-East corner of the ground with uninterrupted views. Season / Members Cards: A very popular ticket type at Football Ticket Pad are Season / Members Cards. These are reserved seats at The Riverside belonging to Middlesbrough season ticket holders and club members who have made their seat available for our customers. Once your payment has been confirmed, the card(s) are then sent out in the post to a postal address provided in your payment details. Customers will receive their tickets during the week of the match they have purchased tickets for. Unfortunately we cannot send our tickets out any earlier but each ticket is backed with a unique 100% guarantee. All cards must then be returned after the game in a pre-paid envelope. E-tickets: Only required if you have purchased Middlesbrough VIP Hospitality tickets at the Riverside Stadium. E-tickets are emailed out to your email address as an attachment which you can then access on your iPhone, laptop or smart device. Customers can then either present their e-ticket at the stadium or they can print the ticket off and bring it with them. Paper Tickets: They are dispatched the week of the game and customers will be notified once their tickets have been sent out. The majority of tickets are sent out in the post but if you are buying a ticket last minute it can be possible to arrange a collection point close to the stadium to pick up your tickets. Every ticket we sell carries a unique 100% ticket guarantee. Middlesbrough sealed their return to the Premier League with a second placed finish in the Championship to secure automatic promotion. Aitor Karanka established a real identity with Middlesbrough who became renowned for their defensive resolve during the 2015/16 season were they managed to keep an impressive 22 clean sheets in their 48 matches. In attack, Cristhian Stuani scored eleven goals to finish as the clubs top scorer, with Albert Adomah and David Nugent both finishing on eight goals. In midfield, Gaston Ramirez had a eye-catching season with his intricate through balls and creativity. The Uruguayan also had an eye for goal, netting on seven occasions. A narrow 1-0 defeat to Bristol City in August was followed up by five consecutive wins against Sheffield Wednesday, MK Dons, Brentford, Nottingham Forest and Leeds United. Boro then went on a nine match unbeaten run between December and January winning eight matches as they kept the pressure on at the top of the Championship table and incredibly went nine matches without conceding a goal. Middlesbrough then finished the season with ten games unbeaten and despite the final four matches ending in draws it was enough to secure automatic promotion to the Premier League for the 2016/17 season.